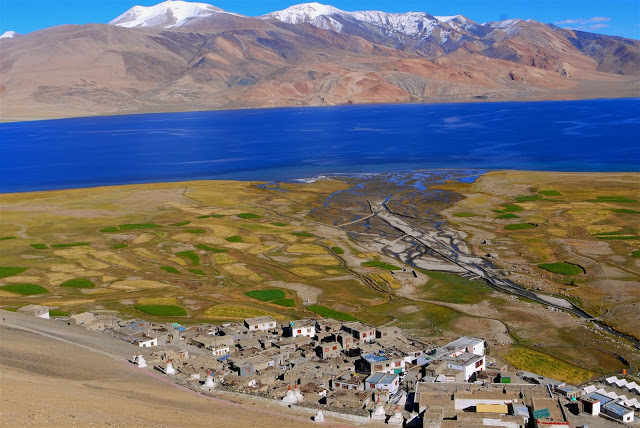 The extreme limit of cultivation is at Korzok, on the Tso-moriri lake, at 4,600 m are widely considered to be the highest fields in the world. 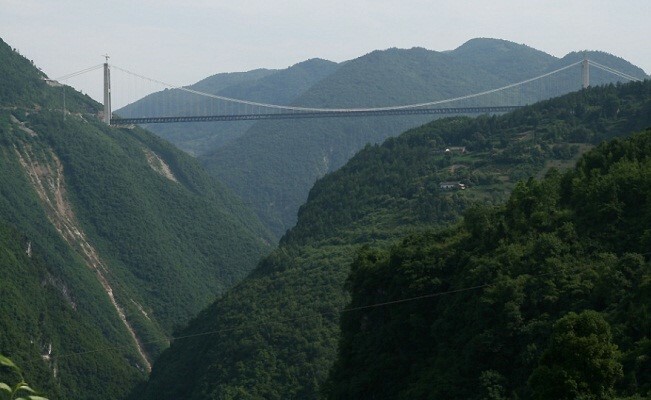 A Bailey bridge between the Suru River and Dras River in Ladakh, India is the highest bridge in the world at an altitude of 5,602 metres above sea level. It was built in 1982 by the Indian Army. The Bactrian camel (two-humped) is a large, even-toed ungulate native. The Bactrian camel has two humps on its back, in contrast to the single-humped dromedary camel, they are rare compared to single hump camels. 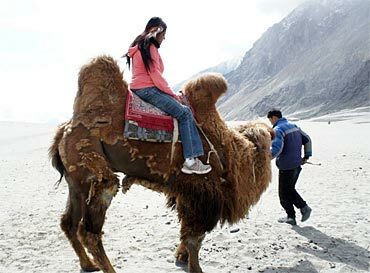 These camels are one of the main attraction of the Nubra valley in Ladakh. 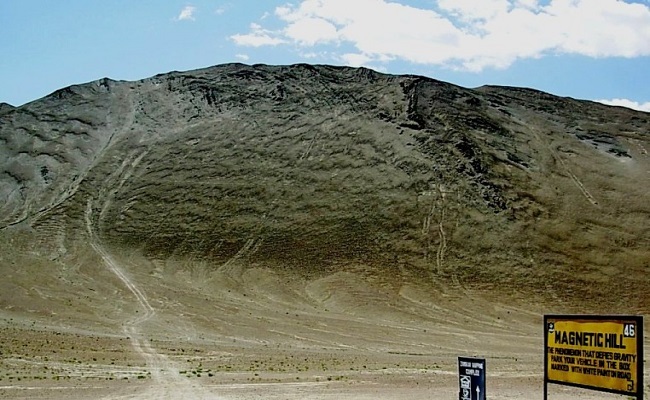 Magnet Hill is a so-called “gravity hill” located near Leh in Ladakh, India. The “Hill” is located on the Leh-Kargil-Srinagar national highway, about 30 km from Leh, at a height of 11,000 feet above sea level. The alignment of the road with the slope of the background can give the illusion that cars are able to drift upwards. Ladakh is the highest plateau of state of Kashmir with much of it being over 3,000 m. It extends from the Himalayas to the Kunlun Ranges and includes the upper Indus River valley. Pangong Tso means “high grassland lake” in Tibetan language , also referred to as Pangong Lake, is an endorheic lake in the Himalayas situated at a height of about 4,350 m. During winter the lake freezes completely, despite being saline water.